A friend of mine owns a hardware store, and in the late 1980s he handed me a gift. At least it looked like a gift at the time. It was a box filled with several thousand brand new wood screws, all in little cardboard boxes, all for free. The only hitch was their slot head. It was old stock (really old), and their design made them unsellable, as the guy explained. That’s why he gave them to me. All this made for a pretty good day, but as I discovered, being brought up on Robertson wood screws makes the old slot-head versions seem like stale bread. Really stale. The screws were practically impossible to drive with a drill, and even hand driver tips would often slip out and damage the surrounding wood. There were other problems, too, like a blunt, wide thread design that wouldn’t burrow its way into anything harder than styrofoam without a pilot hole. In the end, after years of passing over the box of freebies in my shop, the screws went into the recycling bin, with the only hope that they’d someday be resurrected into something better. 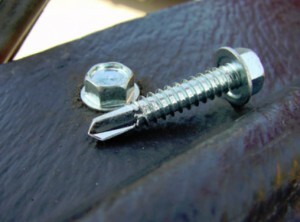 Quietly, over the last 20 years, something great has happened to wood screws. Several great things, actually. The quality of screws themselves has gone way up, and even though not all of these gains have made their way to the big box retail level yet, you can still get terrific wood screws no matter where you live in Canada. This new breed of fasteners solves problems in new ways, does things that ordinary screws can’t, and some of them look ultra-cool while they do. But as good as they are, the efficiency and utility of using wood screws for building depends on driving them under power. And here, too, big gains have been made with the tools. There are three reasons that the latest wood screws really are the greatest: superior thread design; very effective corrosion resistant coatings; and head designs that make them easier to drive well. While ordinary deck-type woodscrews still remain an excellent, low-cost way to draw wood together and hold it that way, there are other things to look for when you want better performance. One advancement is genuine, hot-dipped galvanized coatings. Nothing beats this treatment for corrosion resistance, except stainless steel — another new woodscrew choice these days. Serrated thread design is another advantage you’ve got to try. Screws with this feature include wavy or notched threads near the tip. These cut wood fibers as the screw is driven, instead of just crushing them. The result is an amazing ability to burrow into wood without the need for pilot holes. I’ve even driven #10 woodscrews of this kind directly into hard maple without a pilot hole, using just a hand driver. You’ve got to try it to believe. When cordless drills came on the scene they made power screw driving a practical reality. 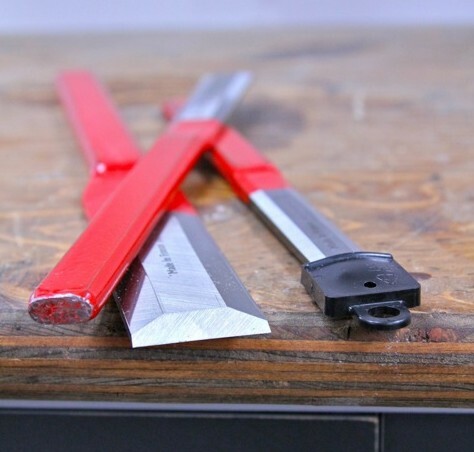 In fact, if it wasn’t for these tools, I doubt we’d have the explosion in wood screw quality we see today. Nevertheless, there’s always room for improvement, and that’s happening right now, with a type of power tool that sets a new standard as a screw driving engine. Called impact drivers, they’re better than anything else for sinking screws into wood fast and well. While regular corded and cordless drills drive screws with a constant, rotational motion, impact drivers do it differently. Squeeze the variable speed trigger and an impact driver operates as any ordinary drill, propelling the screw into wood. But when the load increases, the tool starts to make a rapid-fire rat-tat-tat sound that indicates something very useful. The tool is alternately driving, then not driving the screw in a kind of two-steps-forward-one-step-back pattern. This back-and-forth motion resets the screwdriver tip into the screw several times a second, an action that means the driver tip just keeps on driving, even when it’s worn and rounded. Impact drivers even offer redemption to those nasty reprobates, the foul-tempered, cam-out-prone Phillips screws often used to secure interior hardware. Until recently, cordless impact drivers designed for building construction haven’t received the same level of R&D investment that other categories have. This means that not every cordless impact driver has the ability to sink, say, 3 1/2-inch long deck screws. But that’s changing in a way outdoor wood builders need to know about. Impact drivers in the 12 to 14.4 volt range delivering more than 1000 in/lbs. of torque are hitting the market right now, offering the power needed to drive screws into anything. They’re fast, they resist cam-out astonishingly well, and they allow precise depth control so you get screw heads driven down exactly where you want them. Details matter, and details make the new wave of wood screws and tools better than ever. Just one warning. Be sure to use all your old screws up before buying any fancy replacements. Ignore that bit of advice and your recycling box could end up getting pretty heavy. Ever notice how old-time furniture sometimes includes visible brass pins reinforcing the joints? The visual effect is terrific with dark woods like walnut and cherry, and it’s easy to accomplish using flathead, brass wood screws. Start by assembling the joint permanently with glue, then pre-drill a pilot hole sized for the screw shank only. (Don’t countersink for the head). Drive the screw into the hole as tightly as you can, leaving the head sticking up above the wood surface. Brass is soft, so this excess is easily sanded off using a belt sander, leaving a nice, flat brass pin visible. Just be sure to hold the machine over the screw for just a few seconds at a time. Any longer and the metal heats up and chars the surrounding wood.